Topics falling within the category of “new religious movements” have become increasingly prominent in religious studies classrooms over the past few decades. Often tracking media coverage, students have particular interest in groups such as Scientologists, the Westboro Baptist Church, the Fundamentalist Latter-Day Saints and their Yearning for Zion Ranch, and various New Age gurus ebbs and flows, but their overall fascination with new and alternative religiosity has remained a common feature in our classrooms. Yet instructors face the question of how to translate student interest in these groups into actual student learning. While such a task falls most obviously on those teaching courses focusing on new or alternative religious movements, instructors teaching on a wide array of topics and multiple subfields may wish to engage students in the critical study of this topic. The essays gathered in this issue of Spotlight on Teaching directly consider the question of how to teach about new religious movements in a variety of contexts. 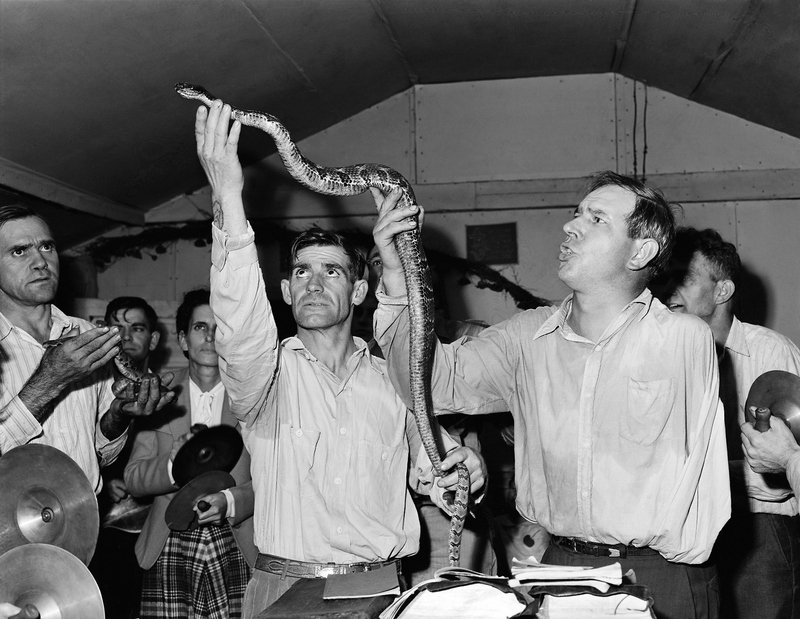 At virtually the same time that the discipline and teaching of religious studies were being reshaped, public attention was being drawn to an array of new religious movements that appeared to be sweeping the United States. The passage of the 1965 Immigration and Nationality Act lifted restrictions on immigration and promoted the movement of a variety of religious teachers to the United States, particularly from Asia. Various trends in the counterculture of the 1960s also promoted interest in new religious movements. As groups like the Children of God, which started in Huntington Beach, California, in 1968, and the Unification church, which sent its first missionaries to the United States in 1959 and whose leader Rev. Sun Myung Moon relocated to the United States in 1971, attracted adherents especially from the burgeoning youth culture, they also provoked hostile reactions from a loose aggregation of parents of members, various mental health professionals, and other activists. The contemporary anti-cult movement, which was especially suspicious of many new religious groups and which often, in its early years, promoted forcible removal of group members and their “deprogramming,” first surfaced in organizational form with the formation of FREECOG (Free the Children of God) in the early 1970s. The ensuing “cult wars,” which soon spread internationally, dominated the 1970s and have continued, though sometimes in muted form, to this day. The 1978 murder-suicides of the members of Jim Jones’s People Temple in Guyana, the 1993 storming and subsequent fire at the Branch Davidian’s Mount Carmel Center outside of Waco, Texas, and the 1997 suicides in California of all active members of the Heaven’s Gate UFO group injected a new focus on violence and death into popular and academic discourse on new religions. The apparent proliferation of new groups drew the attention not only of the public, which seemed to have an unshakeable appetite for dramatic tales of loss and rescue, but also of social scientists interested in the dynamics of social movements, including the processes of recruitment, conversion, and departure from groups. Those various research programs eventually coalesced into a distinctive subdiscipline of new religions studies. And that research began to find its way into the classroom where it often found an audience of students eager to learn more about those saffron-robed members of the International Society for Krishna Consciousness who they encountered hawking literature in airports and other public places, the perplexing mass weddings held in well-known venues like Madison Square Garden, and the apparent affinity between various movie and TV stars and the Church of Scientology. By 1999–2000, more than 18% of the institutions participating in the survey of undergraduate programs by the American Academy of Religion reported that they offered courses on new religious movements (see p. 10). The study of new religions had thus clearly begun to participate in the diversification of teaching about religion in higher education. As a group, the essays in this issue of Spotlight show how material about new religions can be used, not only in courses dedicated to the topic, but in a variety of the most frequently taught courses in the undergraduate curriculum. They clearly show how the study of new religious movements can be productively introduced into a variety of pedagogical settings. Catherine Wessinger shows how material about new religions can enrich the teaching of religious studies generally. She argues that the study of new religions promotes students’ religious literacy, and she describes how exploring themes such as millennialism and women’s leadership from a new religions perspective illuminates our understanding of religion in historical and current contexts. Jeremy Rapport makes the case that studying new religions gives students multiple opportunities to cultivate the types of skills that are central to a liberal arts education, including critical thinking, reading, and writing skills. Marie Dallam focuses on the fundamental processes of evaluating source materials, particularly in a comparative context. Her assignment that requires students to contrast memoirs of members or former members and more scholarly treatments of a religious group encourages students to identify and evaluate critically the point of view from which an author writes, the multiple perspectives that can be brought to bear on a group, event, idea, or person, and to develop an understanding of the complexities of rendering an accurate account of any group based on multiple sources of information. Lydia Willsky shows how course design strategies can be used to promote higher-order thinking and uses William Perry’s well-known scheme of cognitive development as a guide to devising constructive comparisons between groups and alternative stories about them. Her strategy of juxtaposing cases that are usually thought of as being quite different is echoed by Megan Goodwin’s emphasis on the marginality, rather than the novelty, of various new religious movements. By putting familiar groups like Peoples Temple and Scientology alongside Roman Catholics and Signs Following (“serpent handling”) Protestants, she also enlarges the comparative context for understanding new religions by showing how much they have in common with other religious groups that have been assigned minority status. All of the contributors share the concern of getting students to understand new religions precisely as religions rather than aberrations of various sorts. They share Carole Cusack’s skeptical attentiveness to how the category of “religion” can be constructed to include some forms of religion as legitimate but to raise questions about others, as the application of the term “cult” in English-speaking countries and “secte” or “sekte” in French and German-speaking countries respectively, has done for a very wide range of religious groups. W. Michael Ashcraft’s adaptation of the site visit also serves as a way of encouraging students to view the members of new religions as human beings like them. Ashcraft also shows how the multisensory environment of the site visit promotes forms of learning that cannot be easily duplicated in the classroom. As a group, these essays show that the study of new religions can lead students into fundamental questions about topics such as the nature and definition of religion, the roles of charismatic leaders in religious movements, the complex relations between religions and gender, and numerous other topics. Accordingly, the study of new religions can be incorporated into many of the courses typically offered in religion curricula: from surveys of world religions and courses on religions in America or any other geographical area to classes focusing on women and religion and courses specifically dedicated to new religions, such as those discussed by Jeremy Rapport and Carole Cusack. In fact, adding treatments of new religions to courses where students might not expect them offers the chance for instructors to challenge students’ assumptions about the fundamental categories and concepts that we study. New religions offer many topics on which students can hone their critical reading, thinking, and writing skills, their abilities to render accurately the concerns, practices, and commitments of others who may be very different from them, and their capacities to make informed judgments on topics of broad concerns, among many other skills that are central to undergraduate education. New religions are good to think with not only because they offer an array of provocative and intriguing case studies but also because they bring into the classroom material with which students are familiar from other contexts. From South Park’s mockery of Tom Cruise and the Church of Scientology, through Marilyn Manson’s association with Satanism, to movies like The Craft and TV shows like Charmed that introduce elements of witchcraft and contemporary Paganism, new religious movements play an important role in the popular culture with which most college students are familiar. Incorporating some of that material not only grabs students’ attention, but also gives teachers the opportunity to show how the study of religion can help students develop a more sophisticated understanding of the worlds in which they live. Taken together, these essays show how attention to new religions can enrich the academic study of religion at the same time that it helps teachers and students pursue some of the most general and important learning outcomes of an undergraduate education. The AAR “White Paper” mentioned earlier discusses the four essential learning outcomes for an undergraduate education proposed by the American Association of Colleges and Universities in its 2007 report, College Learning for the New Global Century. They are 1) knowledge of human cultures and the physical and natural world, 2) intellectual and practical skills, 3) social and personal responsibility, and 4) integrative learning. As W. Michael Ashcraft, Catherine Wessinger, and Megan Goodwin emphasize, encounters with new and alternative religious movements clearly demonstrated the richness and diversity of human culture on such fundamental questions as human sexuality, gender roles, definitions of the family, the role of work, and the meaning of history. Jeremy Rapport, Lydia Willsky, and Marie Dallam show how working on materials from new religions can help students to refine fundamental intellectual and practical skills. Considering the role of the state in events like the assault on the Mt. Carmel Center or Wounded Knee or the denial of Aboriginal rights and immigration rights in Australia certainly offers fertile ground for the consideration of many topics of personal and social responsibility. And the essays give multiple examples of how the study of new religions can promote integrative learning, from Jeremy Rapport’s and Marie Dallam’s paper assignments to W. Michael Ashcraft’s site visits. In both the public arena and in the classroom, new religions of every sort deserve careful consideration precisely as religions. That they have frequently incited prejudicial responses in broader society calls for careful consideration and careful analysis rather than simple affirmation or rejection. Studying new religions offers students opportunities to grapple intellectually, and morally, with the dynamics of the origination, reception, and transformation of religious traditions. In itself, that grappling argues for their inclusion in undergraduate religion curricula. 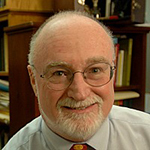 Eugene V. Gallagher is the Rosemary Park Professor of Religious Studies at Connecticut College. He teaches a course on new religious movements annually and uses material about new religions in his introductory courses, “Religion and Globalization” and “Holy Books: Scripture in the Western Tradition,” among other courses. Among his publications on new religions is Reading and Writing Scripture in New Religious Movements: New Bibles and New Revelations (Palgrave Macmillan, 2014). He is a co-general editor of Nova Religio: The Journal of Alternative and Emergent Religions and associate editor of Teaching Theology and Religion. Benjamin E. Zeller serves as assistant professor of religion at Lake Forest College, in the Chicago metro area. His research and teaching focuses on religion in America, specifically on religious currents that are new or alternative including new religions, the religious engagement with science, and the quasi-religious relationships people have with food. He is author of Prophets and Protons: New Religious Movements and Science in Late Twentieth-Century America (New York University Press, 2010), Heaven’s Gate: America’s UFO Religion (New York University Press, 2014), and coeditor of Religion, Food, and Eating in North America (Columbia University Press, 2014) and The Bloomsbury Companion to New Religious Movements (Bloomsbury, 2014). He is co-general editor of Nova Religio: The Journal of Alternative and Emergent Religions. *Correction, Feb. 6, 2015, 1:00 p.m.: This article originally mischaracterized Catherine Wessinger's essay as one that focused on teaching new religions as world religions. The text has been changed to better reflect Wessinger's emphasis that studying millenialist and women's roles in new religions can help develop students' religious literacy.